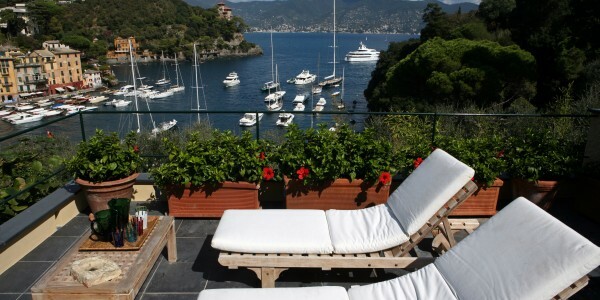 The Villa is located on a lush green hillside, on the way to the lighthouse, 1 minute walk from Portofino’ s famous piazzetta and it is entirely gated and extremely private. 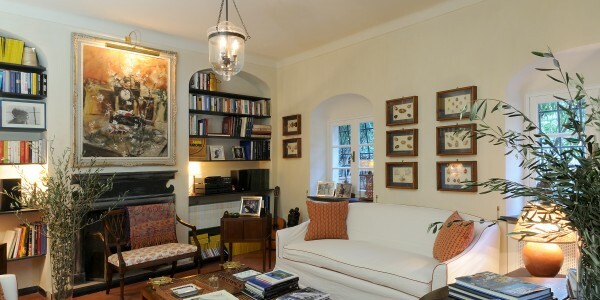 The wonderful property is developed on two floors: It has a double entrance, 4 fully and elegantly furnished bedrooms (2 twins and 2 king bed), with private baths. There is a tv in 3 bedrooms. A fifth twin room with private bathroom with shower is also available in a small garden house (close to the pool). 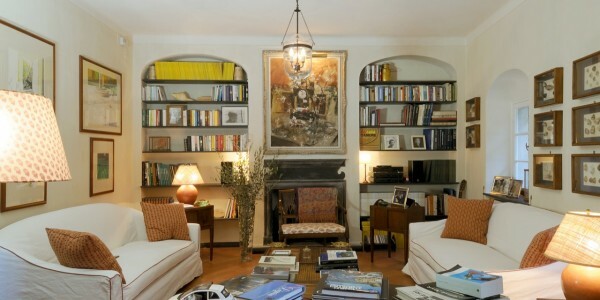 The Villa has a very cosy tv room totally covered by ancient boiserie with 50″ plasma television, spacious living room, dining room and fully equipped kitchen. 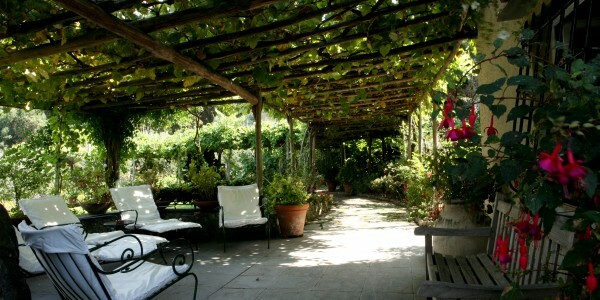 The outdoor enjoys a 6,000 m2 garden, fine harboured garden/terrace, amazing coastal view terrace with wood burning oven. 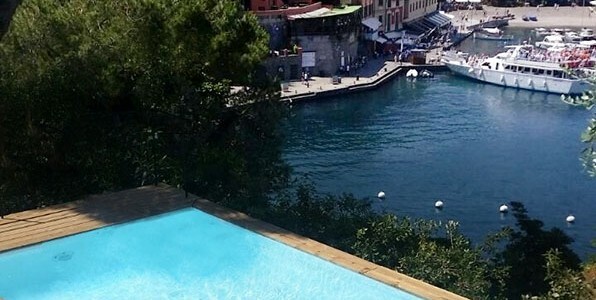 There is also an above the ground small swimming pool with sea view. Villa Policy is based on weekly Rentals from Saturday to Saturday; Check in from 4:00 to 7:00 p.m; Check out within 10:00 a.m. ; pets are allowed. 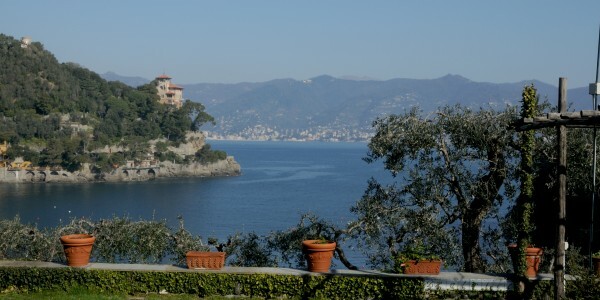 A dream like location for a very private holiday overlooking the harbour of very famous seaside village. 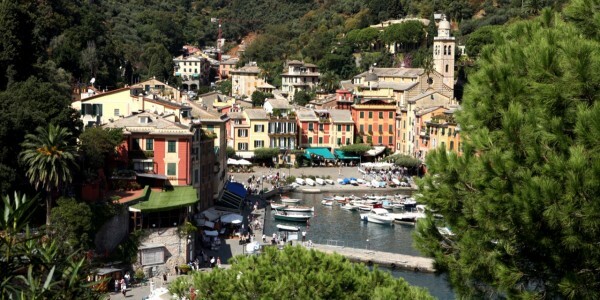 It is very close to the Piazzetta of Portofino, a breathtaking Portofino bay view, a smalll swimming pool with sea view.